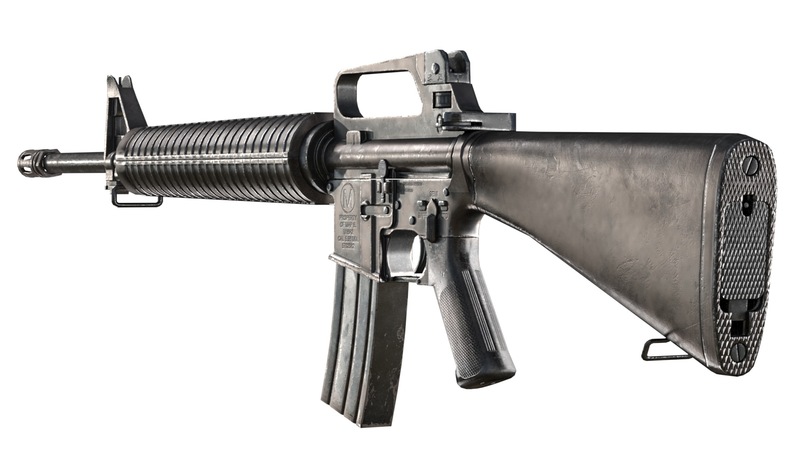 This M16A2 took me about a couple of weeks. Hope you guys like it! C&C are welcome. Thank you Laggtastic for taking your time replying to my post! Miss these long detailed comments of yours so much. Making comments this long in so many threads must be tiresome. Really appreciate your hard work! Your set the background wrong. The HDRI image is 'spherical' but you set it to 'screen' mode resulting in a stretchy distorted background. That huge amount of details, absolutely mind-blowing! Did you spend a month or two doing this? Thanks! At first, I thought it looked too bland if they were the same color. So I give them a little contrast but that creates a new problem as you said, the lower part looks like aluminium instead.